You'll be £6.99 closer to your next £10.00 credit when you purchase Tracing Your Army Ancestors. What's this? Whether you are interested in the career of an individual officer, researching medals awarded to a soldier or just want to know more about a particular battle or campaign, this book will point you in the right direction. Assuming that the reader has no prior knowledge of the British army, its history or organization, family historian Simon Fowler explains which records survive, where they can be found and how they can help you in your research. The author also describes resources available online as well as books and campaign histories. Worked examples are included which show how the records can be used to discover the career of an individual or a specific action, and particular attention is paid to explaining the records and the reasons behind their creation - this information can be very important in understanding how these documents can help your research. Whether you are interested in the career of an individual officer, researching medals awarded to a soldier or just want to know more about a particular battle or campaign, this book will point you in the right direction. Assuming that the reader has no prior knowledge of the British Army its history or organisation, author Simon Fowler explains which records survive, where they can be found and how they can help with your research. He also describes resources available online as well as books and campaign histories. 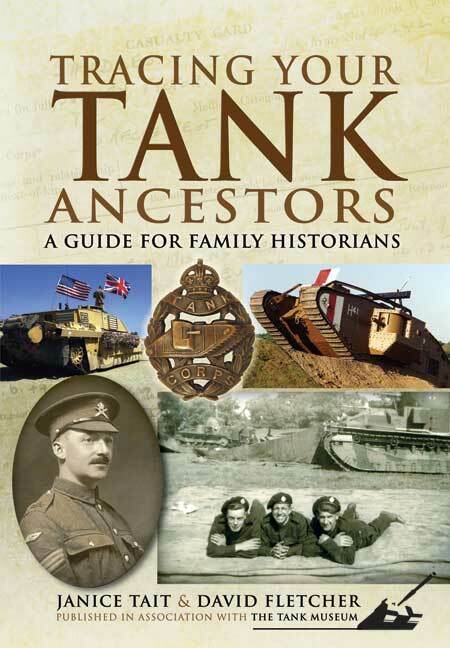 This well known author has produced yet another excellent guide for researching ancestors who have served in the Army. The book is an ideal text for reference when investigating army personnel and it is highly recommended. Not only is this a useful guide it also contains many examples of research within the text. These examples illustrate how research projects can be undertaken. The author begins the book with a brief introduction to “Getting Started”. This chapter sets the initial ground for investigations into army based genealogy and the following chapters build upon this introduction. He discusses the structure of the Army before 1660 and during the 18th / 19th centuries. Before 1660 there was no standing army and the author gives some useful advice for researching this period. Of interest are his comments on militia records and the English Civil War. During the 18th /19th centuries the army started to take the shape that we currently have. This starts with a formal distinction between officers and other ranks. To be an officer in the 18th / 19th centuries above all else “it was most essential that you were a gentleman”. This sharply contrasts with the meritocracy of today’s army. Commissions were purchased and the records for officers are significantly different to those for other ranks. The author develops this issue and discusses it in some detail. The following chapter concerns “Other Ranks” and their records. The enlistment and conditions of service are noted. Recruits received a bounty for enlisting which in 1871 could be as high as £2 – this was often drunk away or vanished through mysterious expenses imposed by the recruiting sergeant (who received a bounty for each man he enlisted). There are interesting notes on service records, muster & pay records, pension papers, description books etc. Medals, honours and awards are also considered. The names of men awarded campaign medals for campaigns after Waterloo (1815) and before about 1914 are recorded in medal rolls. The author then gives superb advice on how to research these decorations and lists various Rolls that are available. Gallantry and long service awards are also covered. Other interesting chapters cover casualty returns, discipline and desertion, pension records and the Militia 1757-1914. Each of these is described thoroughly and various useful sources are noted. Attention is given to Women in the Army and it discusses the effects of “Women on the Strength of the Regiment”, nursing and service in Auxiliary units. This is followed by chapters considering British India and Dominion / Colonial forces prior to discussing the Boer, the First and Second World Wars. The final chapter is about the army in the period 1919-1969 and there are five very useful appendices. 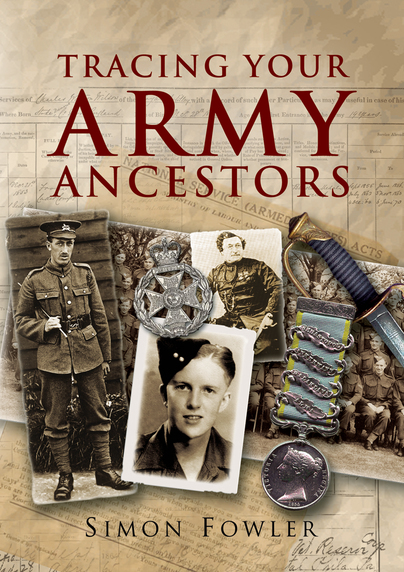 In summary, if you are researching army ancestors then this interesting book will prove to be an invaluable addition to your personal library. It is highly commended and it covers most, if not all, of the avenues that can be pursued when researching individuals. Well done Mr Fowler! !